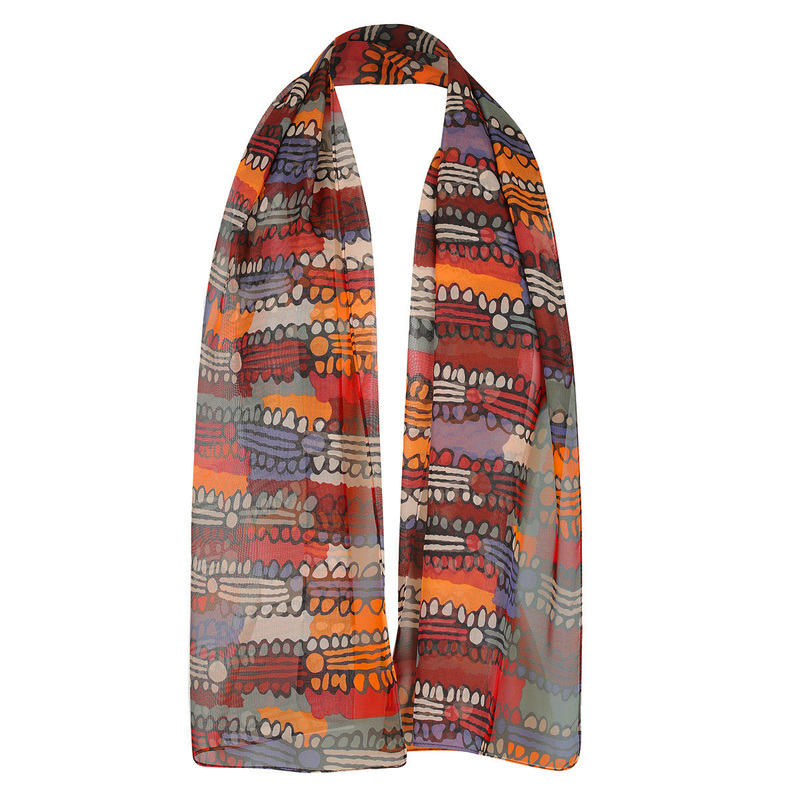 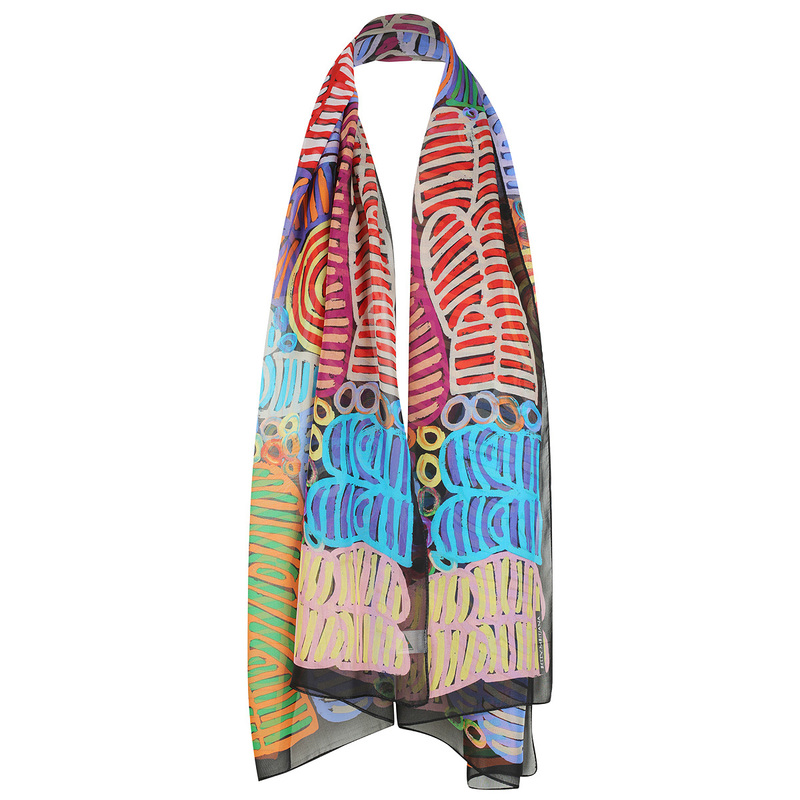 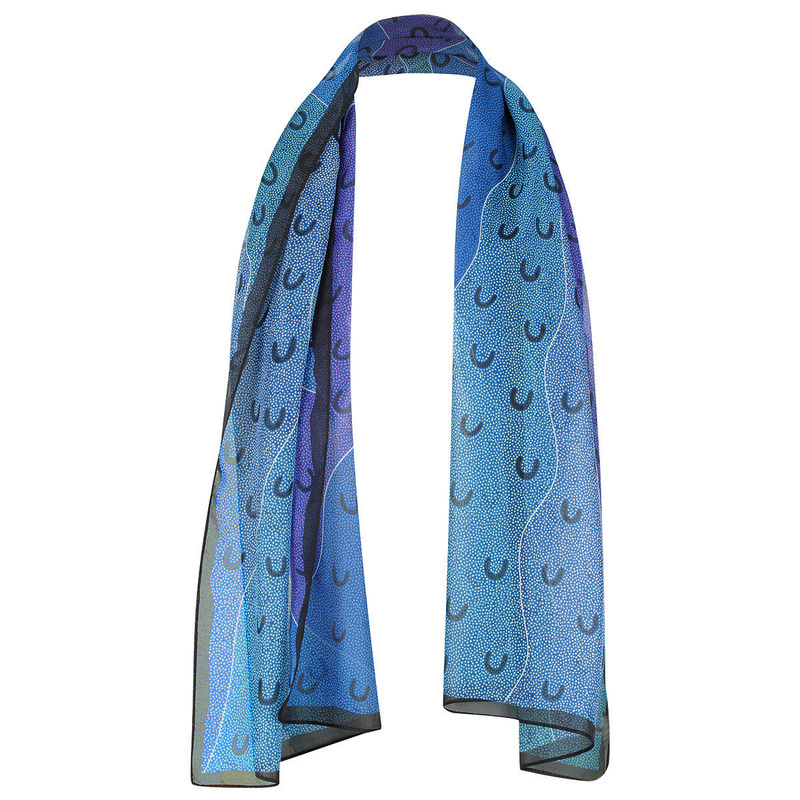 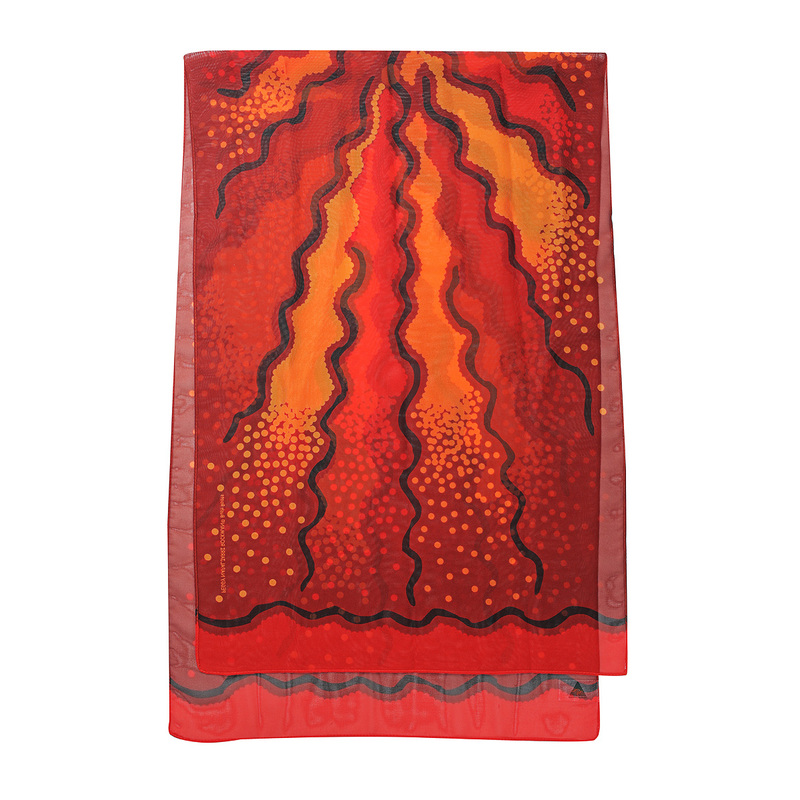 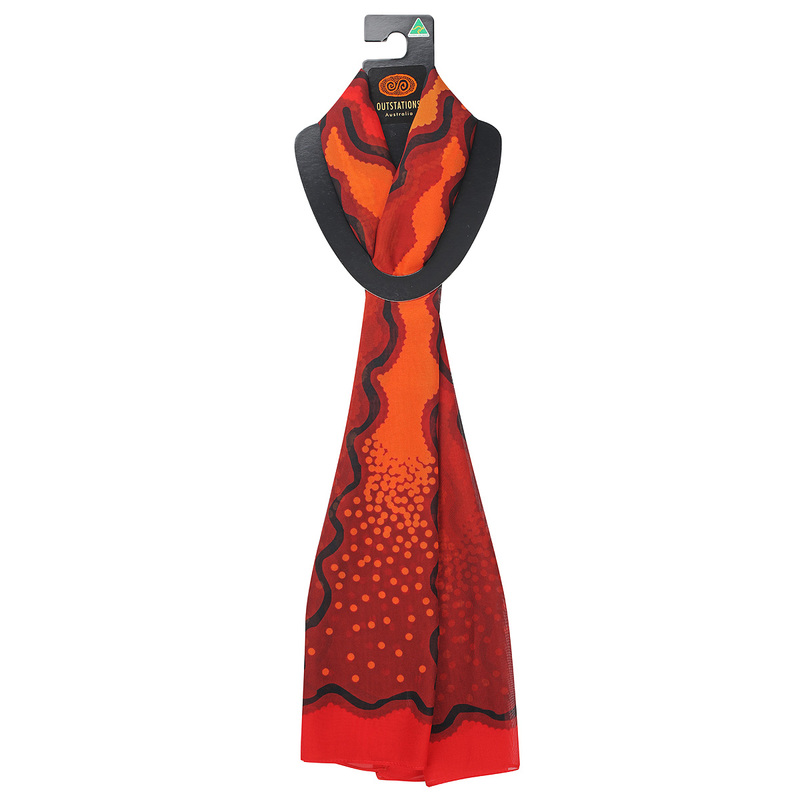 This Aboriginal print scarf is the perfect Australian gift. 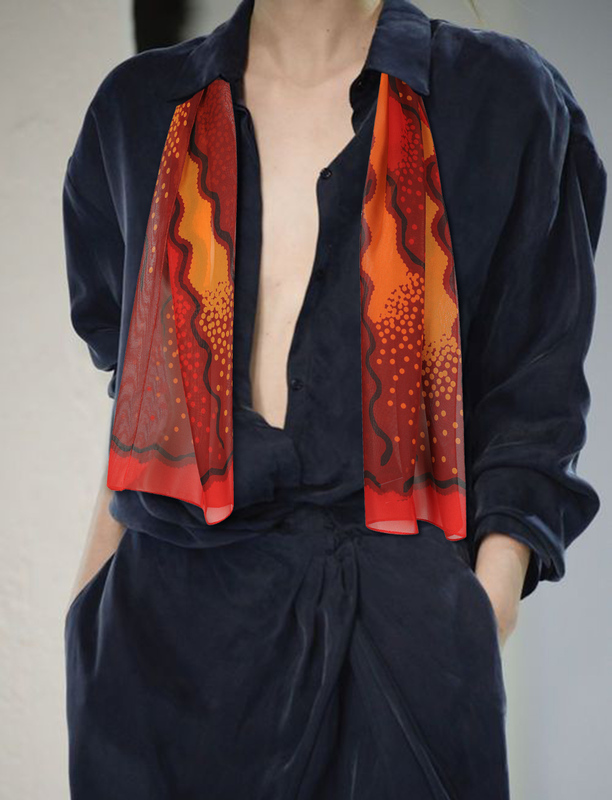 Made from elegant sheer chiffon it features a beautiful painting by Indigenous artist Peggy Rockman called “Bush Roots”. 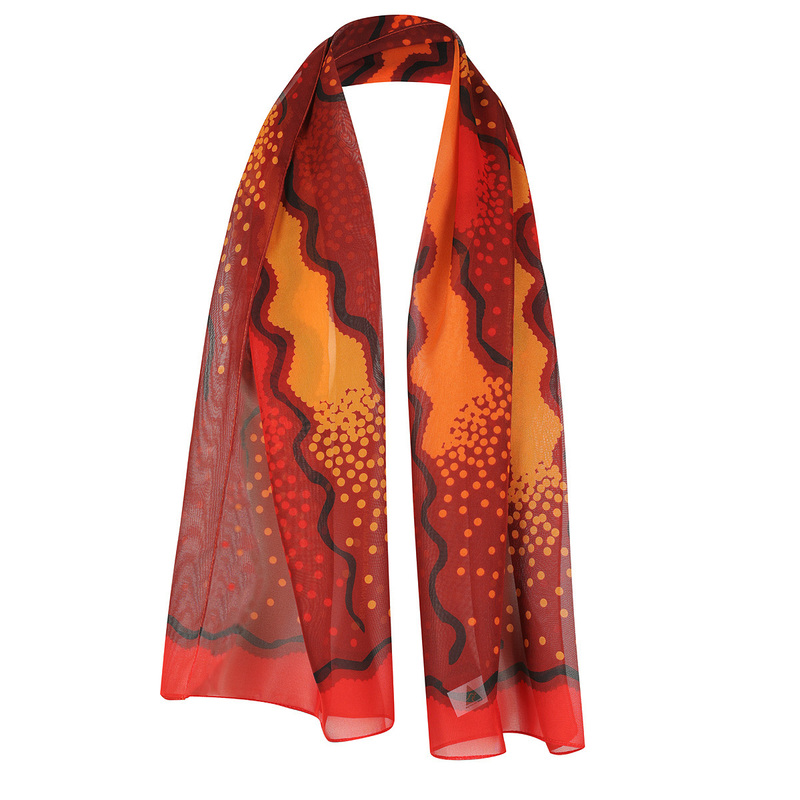 With colours of red, orange and black, it’s the ideal souvenir from Australia.